One of New Zealand’s leading language schools, ACG English School delivers intensive general English courses designed to meet the needs of our students. We aim to maximise student progress and achievement by equipping students with the English skills that best prepare them for further study. ACG English School runs all year round and offers weekly intakes.The minimum age is 12. 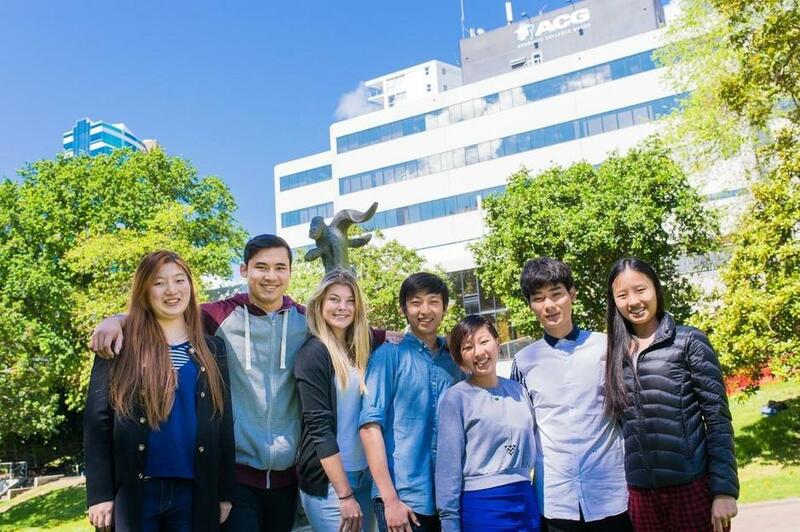 ACG English School is located at 345 Queen Street in central Auckland, near the University of Auckland, AUT University, ACG Senior College, ACG Yoobee School of Design, New Zealand School of Tourism and New Zealand Career College. The central location means easy access to public transport and a number of nearby accommodation options.The campus is fully equipped with modern air-conditioned classrooms, computer rooms, a student common room, a library and a cafeteria. We look forward to welcoming you to improve your English in New Zealand with ACG. Courses consist of 24 or 30 hours of lessons per week. Two modules are included in the 24-hour per week lesson option:The Core & IELTS Academic English Module and the Project-based English Module. Three modules are included in the 30-hour per week lesson option: The Core & IELTS Academic English Module, the Project-based English Module and the Elective Module. The Core & IELTS Academic English Module consists of approximately 16 hours per week and is designed to develop English language usage, language structure, vocabulary, reading, listening and writing using a set topic. The Project-based English Module consists of approximately 8 hours per week and takes the skills learned in the Core & IELTS Academic English Module and translates them into a weekly presentation using a variety of media. The Elective Module: 6 hours per week.The purpose of the Elective Module is to practise English skills through academic subjects, such as Mathematics, Business and Science as well as through creative storytelling.The Elective Module is particularly useful to students planning to continue their academic studies after reaching the required English level. Students who successfully complete the required ACG English School levels and who meet stated academic entry requirements have guaranteed entry into all ACG schools and programmes. Many students in ACG English School move on to another ACG programme. This might be one of the ACG schools or one of the two Foundation Programmes that ACG delivers on behalf of AUT University and the University of Auckland or one of the ACG tertiary programmes which include Business, Graphic Design, Web Development,	Game Art, Filmmaking, Animation & 3D Graphics, Hospitality, Cookery,Early Childhood Education and Tourism & Travel Management.